We chilled out quite a lot last weekend. to get fresh melon buns and a baguette. I'm so glad to have a melon bun in London in Saturday morning! It was really nice weather so we were going to go out. However, as we were so slow to get ready, the weather turned to grey. In the end, we decided to just do shopping and cooking. For shopping, we went to Richmond to go for a walk as well. Hanged around Richmond town centre, sometimes popped into a book store and shops. 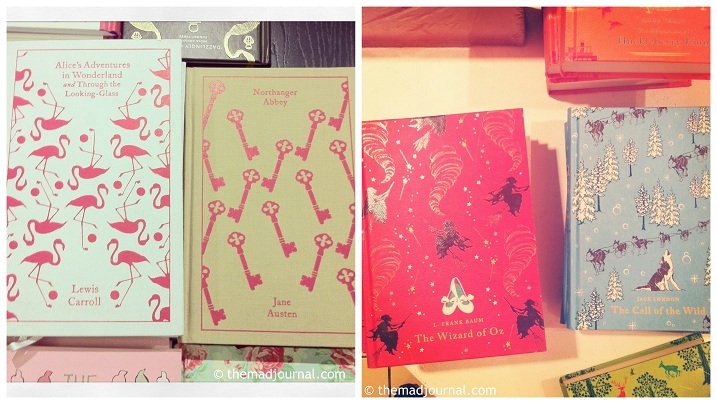 These days, I'm intrested in classical literature books with cute cover. I don't have my favourite book, Alice in Wonderland in London. 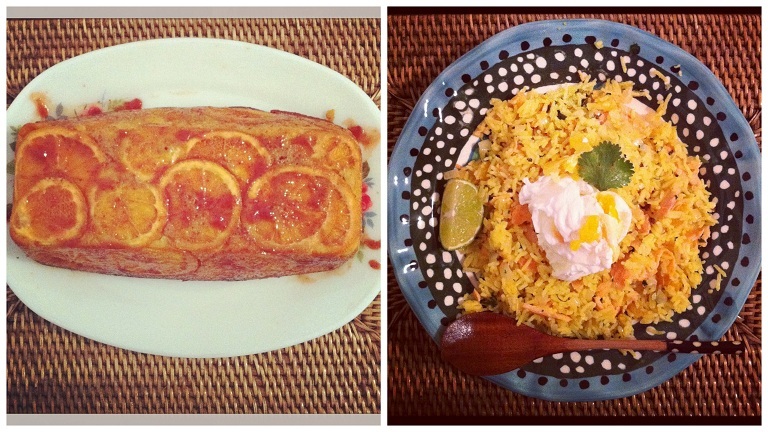 My partner bake Orange and Polenta cake from Bonne Maman recipe book . It was French book but English translation was a little bit strange so that my partner was struggling to understand. I also picked up kedgeree from the Bonne Maman book. It was the first time for me to cook it! I prefer kedgeree with more curry taste. in the end we left in the late afternoon after brunch. We didn't have much time so we just went to The Conran Shop. Their kids corner was so cute!! Yes, I can make it, can I.....? I loved the tree book shelf too! But my favourite was this!!! I love this!!!!!!!!!!!!!!!!!!! It was too expensive, though. But, I think I can make it if I have parts.......!! For dinner, we went to Ramen bar. I don't know why, but there are some ramen bar opened in London these days. Ramen is originally Chinese noodle, but developed in Japan. 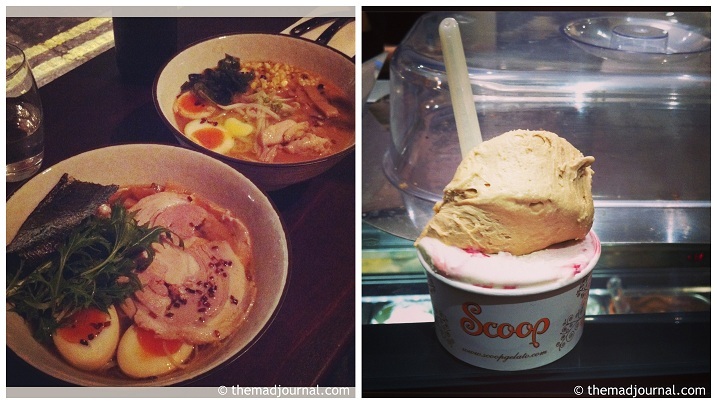 After ramen, we had ice cream to refresh our palates. After that we went to Royal Albert Hall. It was the third time to go to theatre this month!! 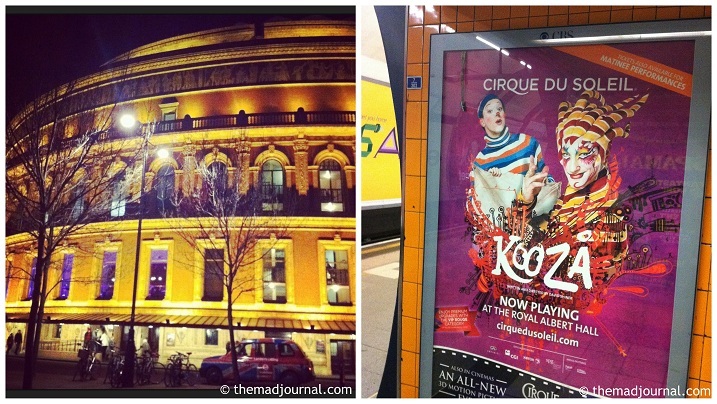 We saw Kooza by Cirque de Soleil! ↓ そしてもう１月が終わった! Click here for the rankings! I went to theatre this week again. I went to Angel where I haven't been for a while. as the buildings of antique stalls were refurbished and stalls were ejected. But the market is still remaining. The main market is on Saturday, but still some stalls are out on Wednesday too. 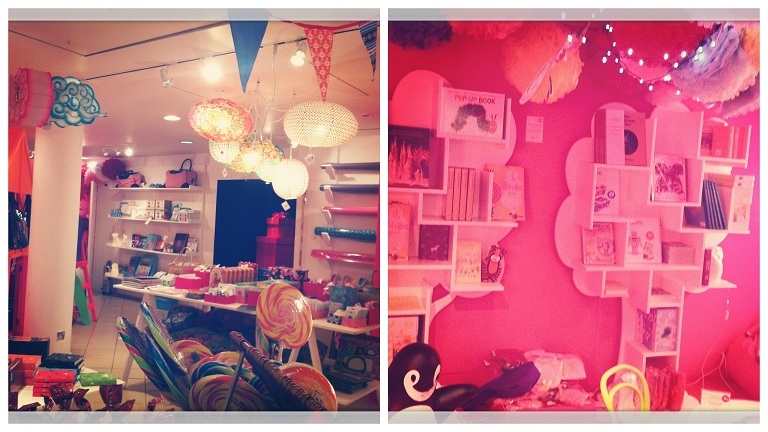 I could buy some accessories for The Mad Vintage for the first time in 2013.
some nice cafes has opened these days. I went to one of them for lunch. 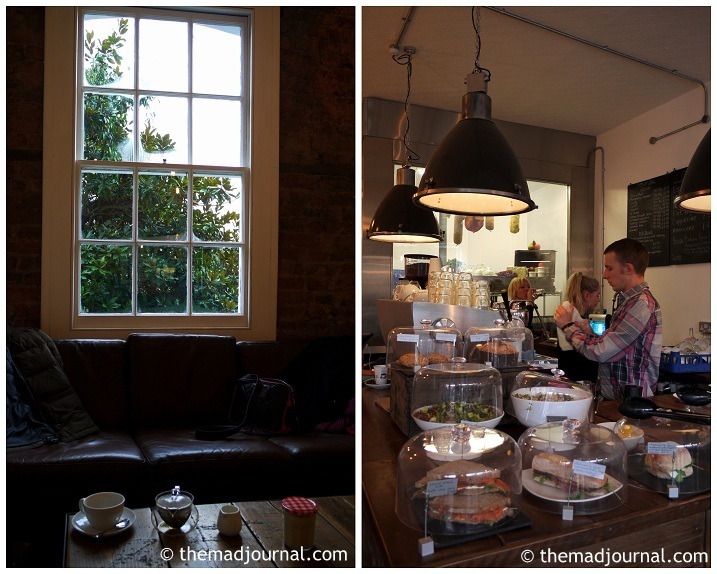 I often see this kind of coffee shops which have simple and natural interior. 裸電球もこういうとこにあるとおしゃれに見えるのが不思議…。Why on earth the naked bulb looks cool if it's in the cool cafe..? It was almost my perfect cafe. I keep looking for my perfect cafe!!! By the way, this cafe has a range of various cheeses. I saw wine bars has lots of cheese but not cafes. It's a new style, isn't it? By the way, the stage which I saw was Matthew Bourne's Sleeping Beauty. I recently write my stage reviews in Twitter. If I want to write a review in my blog, I need lots of time. If you are interested, have a look my Twitter account. ↓ そして、そんな私はコーヒーの味がよくわからない。 Click here for the rankings! Talking of Berlin, we can't forget about the Berlin Wall. 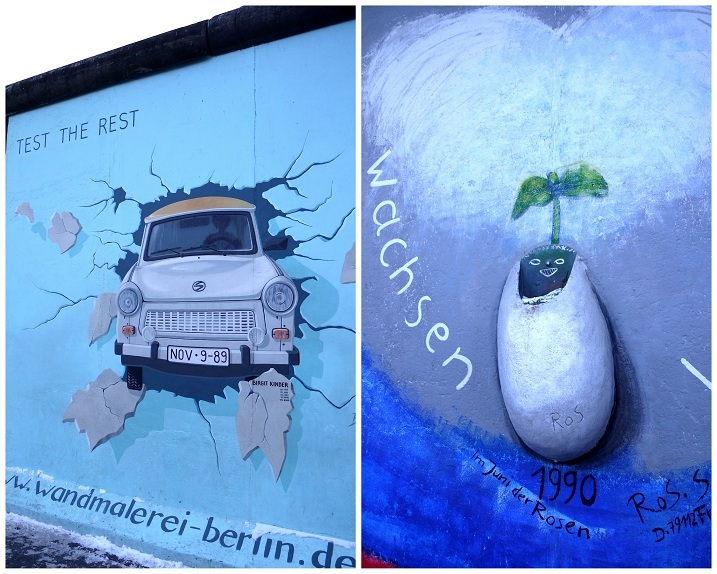 One of the part of Berlin Wall is now a street art gallery. The wall separated A town in the cold war. There was a totally different world over the wall which also separated friends and families. I wonder how many people climbed over the wall at the risk of their own life. The wall was fallen before I studied the world history. So it was a story in the history class for me. as telling that it actually happened. ↓ たまにはまじめに。 Click here for the rankings! It snowed in Europe and apparently in Japan too in this weekend. It started snowing from Friday in London. On Friday, I travel to Central London twice in the snow. I had a date with my partner! It was English National Ballet's Sleeping Beauty which I wanted to see. I just talked to my friend about the ballet in the afternoon and reminded me I had to get a ticket! I am so sorry, hubby!! Saturday, I went to a vintage market for the first time in this year. Because of the snow, however, there were not many stalls. I couldn't find my favourite dealer too..... It was crap. I should have stayed home!! On Sunday, it was snowing all day. To be honest, I wanted to stay at home and chill out but we had a plan to have lunch with a friend. So we went to Richmond where is quite close to our town. We went to the pub in front of Richmond station. We don't drink so we haven't been to pub for ages. But actually pubs are quite cool place with nice interior though some pubs don't have nice food. This pub also had nice interior with vintage furniture. It was empty when we got there. But, after we ordered lunch, people came to the pub one after another, and finally it became full!! We were not interested, so we move to the seats in the back from the ones by the big screen. But there were another big screen at the back. It would be the perfect interior if it is without big screens!! I've never seen a vanilla cider!! 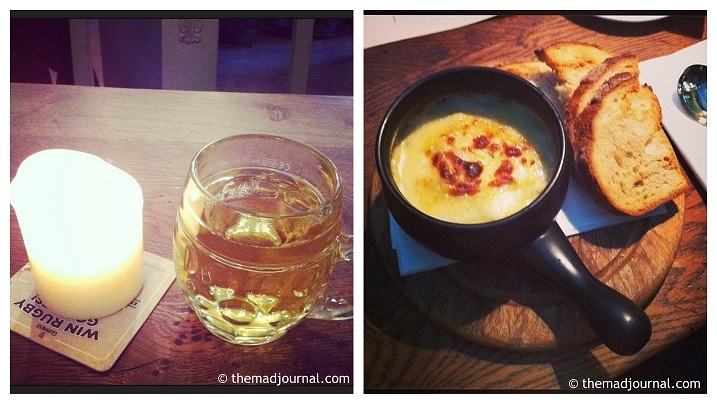 I've had hot apple juice in Christmas markets in France, but this hot drink is similar to the hot apple juice. It was really good! I didn't know such a nice drink in UK! but the gratin sounds it makes me hot, so I chose it. It was snowing and on and on, so we went home early. 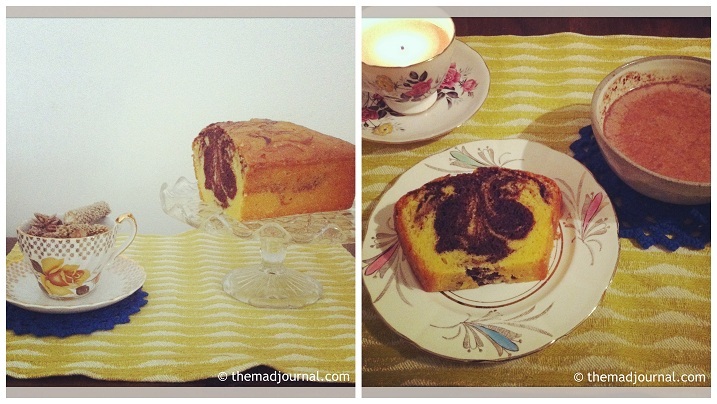 We had a tea time with the cake which my partner bake with the easy cake mix on Saturday. ↓ タイトルのLet it snowとは、仕事に行きたくない相方の願望。 Click here for the rankings!